It’s with great pleasure that I bring you a wonderful book. The long-awaited new novel from the author of the global bestseller and modern classic, The Shadow of the Wind. The Labyrinth of the Spirits is an electrifying tale of passion, intrigue, and adventure. Within its haunting pages, Carlos Ruiz Zafón masterfully weaves together plots and subplots in an intricate and intensely imagined homage to books, the art of storytelling and that magical bridge between literature and our lives. Carlos Ruiz Zafón is the author of six novels, including the international phenomenon The Shadow of the Wind. His work has been published in more than forty different languages and honored with numerous international awards, including the Edebé Award, Spain’s most prestigious prize for young adult fiction. He divides his time between Barcelona, Spain, and Los Angeles, California. Thanks to NetGalley and to Weidenfeld & Nicolson (Orion Publishing Group) for providing me an ARC copy of this novel that I enthusiastically and freely chose to review. I read the first two novels of the Cemetery of the Forgotten Books series years back, in Spanish. I have recommended The Shadow of the Wind to anybody who would bother to listen to me (probably multiple times, sorry) and was enthralled by the complex tale of creation and mental unravelling span by The Angel’s Game. In the maelstrom of the last few years, somehow I lost track of the series and missed the publication of The Prisoner of Heaven (although I have been trying to locate a copy since I started reading this volume), but when I saw the last novel in the series was being published in English and offered on NetGalley, I knew it was my chance to catch up. As I also do translations and had read two of the novels in their original Spanish version, I had the added interest of scrutinising what the translation into English would look like. Well, I must say I thought it was superb, in case I forget to mention it later. Lucia Graves (daughter of Robert Graves, here you can read in interview with her) manages to capture the style of the author, the complexity and beauty of his language, and translates the local peculiarities of the dialogue, helping readers feel the joy and the intoxicating and magical experience of reading the original. Hats off! The way I dreamed of it, the narrative would be divided into four interconnected volumes that would work like entrance doors into a labyrinth of stories. As the reader advanced into its pages, he would feel that the story was piecing itself together like a game of Russian dolls in which each plot and each character led to the next, and that, in turn, to yet another, and so on and so forth. The saga would contain villains and heroes, and a thousand tunnels through which the reader would be able to explore a kaleidoscopic plot resembling that mirage of perspectives I’d discovered with my father in the heart of the Cemetery of the Forgotten Books. This is a long novel, and a complex one, although not one difficult to read or follow (I don’t think). As the quoted paragraph says, there are many stories here, and many memorable characters, some dead, some alive, and some… (among them, Alicia Gris, femme-fatale, spy, little girl, seductress, avenging angel, long-suffering survivor of a terrible war; Daniel Sampere, bookshop owner extraordinaire searching for answers; Fermín Romero de Torres, whimsical, fun, full of life and common-sense, witty, heroic, down-to-earth; Julián Sempere, the stand-in for the author and heir to a long tradition; Isabella, a mysterious figure much of the action revolves around; authors David Martín, Julian Carax, Víctor Mataix; the fabulous Vargas, a hard-working an old-fashioned honest policeman with some secrets of his own; the complex Leandro; the horrifying Hendaya; the intriguing Rovira…). The story moves back and forth in time, from the time of the Civil War in Spain (1938) to its aftermath during the Franco regime, and into 1992. We visit Madrid, Paris —however briefly— although the main setting, and the main character, is Barcelona, in all its glory and horror. In the darkest corner of her heart, Barcelona, mother of labyrinths, holds of mesh of narrow streets knotted together to form a reef of present and future ruins. I kept thinking what genre one would fit this book into. Amazon has it listed in the categories of literary fiction, historical fiction, and mysteries. All true, I guess. There are secrets, mysteries, action, revenge, intrigues, crimes, murders, torture… The novel reminds me, in some ways, of the big adventures and narratives of old, novels by Victor Hugo (whose pen, possibly?, makes an appearance in the novel), Jules Verne, the Dumas (father and son), with its sprawling narrative, its wondrous descriptions of people and events, its historical background (the Spanish Civil War and the postwar years, accurately reflected through a fantasy lens), and even its gothic setting (we have mysterious mansions, dungeons, cells, castles, underground passages, true labyrinths…). This book bears homage to literature, to books, to authors, to the power of imagination, and to the magic of reading. The book talks about books and writing and contains plenty of advice on writing, some of it contradictory, and there are many different types of writers contained in its pages. It is metafictional at its best, and I was not surprised when I read that the author also composes music. There are variations on a theme in evidence (stories are told and retold: sometimes different versions, sometimes from different perspectives, and in different formats). There is plenty of showing, there is telling from direct witnesses, or third-hand, there are documents that bring us missing pieces from the pens of those who are no longer able to tell their own stories, and everybody gets a chance to tell his or her own story, be it in the first person or the third, be it directly or through a narrator. The author has explained that he writes his novels in a similar way to how movies are conceived and designed, and that is evident when one reads the story, as it is impossible not to visualise it. Carlos Ruiz Zafón professes his admiration for Orson Welles and that comes across loud and clear in this book. But, however much he loves movies, he believes books can conjure up worlds that no filmmaker would be able to bring to life, and that is his stated reason for not selling the rights for the film adaptation of the series. Part of me would like to watch it, but I am convinced I’d be disappointed, so incredible is the world the author has built. 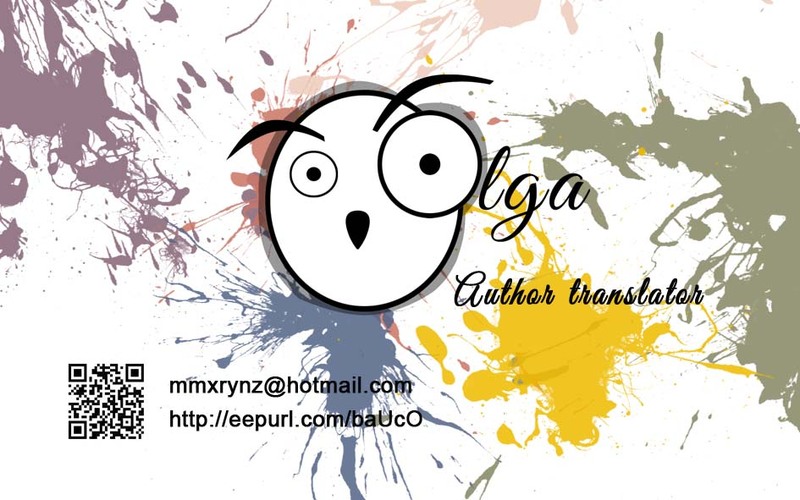 I have mentioned the style of writing when I talked about the translation and I have shared some quotes. I kept highlighting and highlighting text while I was reading it and I found it very difficult to select some to share, but I hope the few fragments I have included will pique your curiosity and make you check a sample if you are not sure if you would like it (you would!). One of the tips on writing contained in the book highlights the importance of the way the story is written, above and beyond the plot, but in this case, the two mix perfectly. We were three sisters, but my father used to say he had two daughters and one mule. I didn’t like playing with the other girls: my specialty was decapitating dolls with a catapult. I’m not sure what else I can tell you to try and convince you to read this book. I am from Barcelona and love the city, even if some of the places mentioned in the novel no longer exist (or not in their original form). You could use the book as a guide for a visit (and I know there were tours visiting some of the streets and settings of The Shadow of the Wind), or you could lose yourself in the labyrinth of your imagination. You could imagine the movie, cast the characters, or put yourself in their place (I’d happily be Alicia Gris, pain and all). If you need to live some adventures and take a break from your life, go on, enter the labyrinth and visit the cemetery of the forgotten books. You might never want to find the way out. I am rearing for another visit soon. Ah and when I read this article about the pleasures of slow reading, I immediately thought of this book and decided to share it with you. Because this is one of those books that are better enjoyed and savoured slowly. Thanks very much to NetGalley, to the publisher, and to the author and translator, for this fabulous book, thanks to all of you for reading and for putting up with my enthusiasm and if you’ve enjoyed it, like, share, comment, click, review, and always keep smiling and reading! Thanks, Pete. I think you will also find it fascinating. I’m chasing up the book I’m missing in the collection and hope to report on it soon(ish). Have a great Tuesday! I hope you get it soon. And I look forward to the next chapter of Benny’s adventures! Love my NetGalley books! Enjoyed your review, Olga. Thanks, Jacqui. Me too! The problem is that I’m very greedy, Jacqui, and can never quite catch up with all the books I have pending. Have a lovely day! It is fabulous! Thanks, Debby! I always loved long books (well, the good ones anyhow). Maybe it’s a reflection of my twisting mind, but the word “labyrinth” always grabs me. Add your amazing review, and now this book (and of course the whole series) is irresistible. Have a wonderful Wednesday. Hugs. Thanks, Teagan. Yes, labyrinth has a ring to it and it suits the whole collection perfectly. I am sure you’d love it. Have a great Wednesday! Sounds like a book to add to my TBR for this winter, when I have more time to read! Thanks, Vashti. I am sure you’ll love it as well. Enjoy the rest of the week! LOL! That’s where I’m at. I’ve been trying to clean out my backlog of books. Yikes! LOL! I have 457 books on my Kindle. I’ve read about 375 of them. You’re doing well. I don’t dare to check how many I have, and I get books in Spanish also, although I don’t read as many of those as I should, so you can imagine! I absolutely loved this book too and am sat here happily remembering it through reading your review. Zafon had me wanting to rush to those atmospheric Barcelona streets right now! Thanks, Stephanie. I hope to get hold of the Prisoner of Heaven soon, but I’m not sure if I’ll read it in Spanish or English (although as my mother can’t read English, I might try and find a Spanish version). A great translation to English too, that is for sure. I must say I was in a daze while I was reading because I am back in Barcelona, but I was also living in the magical city in the book as well. I saw it was one of your books of the month, and after visiting your site I’m sure to go back for more of your recommendations.